Group chief executive says a new Lida head will start in January and is confident that a significant account win is imminent. M&C Saatchi group chief executive David Kershaw has backed CRM agency Lida to recover after two major account losses and senior departures, with a new leader being lined up to join in January. Last year began with Lida losing its flagship Boots loyalty business and ended with Ikea also going out the door. This summer, chief executive Victoria Fox and chairman Matthew Heath both announced that they were leaving. Today, Kershaw told Campaign that a new chief executive "has been identified and will be coming in January", although their contract had yet to be finalised. "It’s the classic Martin strategy, which worked very well. There was absolutely nothing Lida could do about that. Certainly, their clients, who they were working with on the [Advantage Card] loyalty scheme, were very disappointed." However, Lida will remain a standalone brand and Kershaw stressed his confidence in its ability to win a "significant piece of business between now and the end of the year". While he expressed sadness at the departure of Fox and Heath, Kershaw praised the role played by recently appointed chief creative officer Ben Golik in leading the agency, with support from M&C Saatchi worldwide chief executive Moray MacLennan. "Ben has radiated energy and inspiration into the place, almost like a spiritual leader, and there are some very strong people running the accounts and businesses," he said. "We’re very confident that Lida will be happily reborn." The veteran adman compared the turnaround task facing Golik and the incoming chief executive to that faced by the M&C Saatchi London creative agency’s chief creative officer Justin Tindall and chief executive Giles Hedger last year. 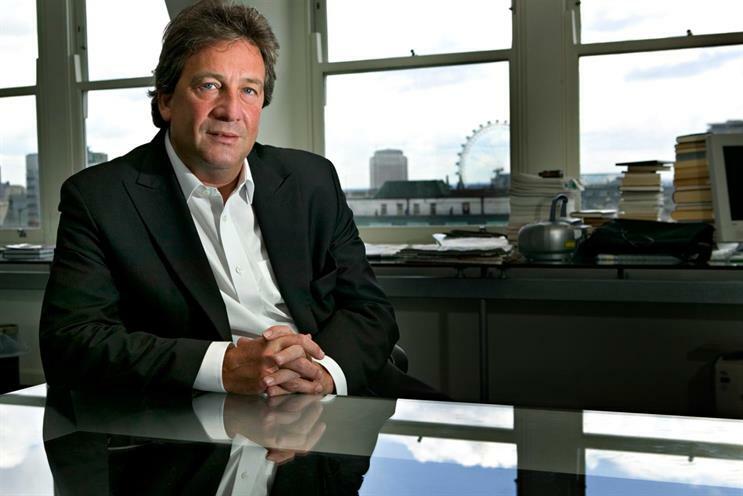 "It was clear the new team at M&C Saatchi were succeeding when they started picking up good business like Legal & General and Twinings over the past six months," he said, speaking after the group issued a financial update showing strong growth in the UK in the first half of this year. "It’s been a huge turnaround that they’ve done, because we had a few years of grief and major surgery, which wasn’t pleasant, really," Kershaw explained. "Morale has changed dramatically. Even though advertising is just one part of the group, at the end of the day it was the original business, so it has an emotional importance and a brand importance beyond the numbers." One recent step in the group’s evolution in the UK was the acquisition in June of 51% stakes in social media consultancy Grey Whippet and its sister beauty influencer management company Red Hare Digital, which are being integrated into a new M&C Saatchi Talent Group overseen by Richard Thompson and also containing the group's social media offering. The group went looking for targets after Thompson convinced management of the opportunity to bring influencer management under the same roof as the sport and celebrity talent management proposition that he specialises in at M&C Saatchi Merlin. Kershaw revealed that the care that has been taken to look at the kind of influencers it was buying into probably made it the longest due diligence process the company has conducted on any acquisition so far. "We made sure that the influencers’ followers were real, that they weren’t buying followers, that they were posting stuff that was appropriate and wouldn’t in any way compromise brands," he said. "We found the influencer roster was incredibly well-managed by Red Hare and that’s what convinced us to buy them. "In a world where it’s a bit Wild West at the moment, we have an agency with powerful influencers that can guarantee their followers are real and will filter every post that is put up to make sure that some 19-year-old doesn't get off their head and say something that will have reputational damage for the brand client. The role of the talent manager with influencers is probably even more important than in traditional talent management." However, the acquisitions do not mean these kinds of agencies are currently high on the group’s international acquisition wishlist. "We will manage overseas talent from here until we have to open overseas. Red Hare do a lot of work in India with Bollywood influencers, but they run that from London. One day, we will look at global extension of it, but for the moment our focus is on integrating businesses into the new M&C Saatchi Talent Group and establishing that," Kershaw concluded.